It exists! Excited for it? I have to think it will be out by the end of the year? Level Design Vs. World Design - Clever Levels/Areas vs. "The Big Picture"
Whoa, it shrinks the system? Hahaha, it's been like that in every photo. I guess that it is simply too big to put two XL's in the same image together. Hahahaha oh man. 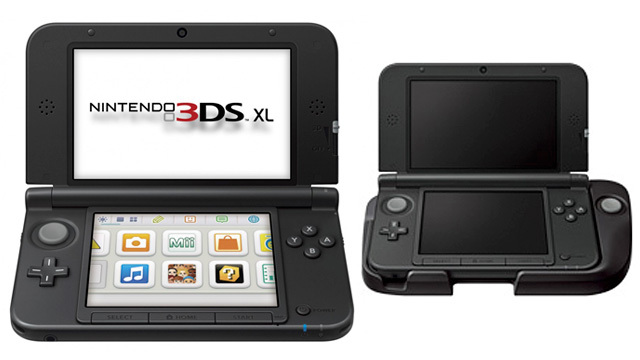 I'm glad they didn't add a second circle pad to the design as to not alienate regular 3DS owners, but man. It's gonna be big. 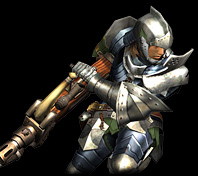 Hmm, still looks like a monstrosity but I will get one if I want to get into Monster Hunter. I'll pick one of these up, if only because I own RE: Revelations and I still haven't played it yet, but when I played the demo I found I couldn't enjoy it without the Circle Pad Pro. Man, that thing is gonna be BIG. Are you sure that's not a screen cap of an IBM Thinkpad?? Nintendo is so dumb sometimes... of course I will be the first in line to buy this hideous monstrosity... so I guess I'm even dumber! I hate how the IGN link has the video from the original. I had the volume super low and watched it not realizing it was the old CPP until a Zelda 3DS was placed in it. Cool news though. I think the 3DS XL ate his little brother and sprouted his own Circle Pad Pro. I want one just for the lulz. It's actually pretty comfy according to Kotaku. I will definitely be getting one, I just hope more games support it and Nintendo makes it more widely available in NA.